While it is a bit too early to start taking stock of the performances planned by the Red Poppy Art House for the next month, there will be one special event that deserves advance notification. 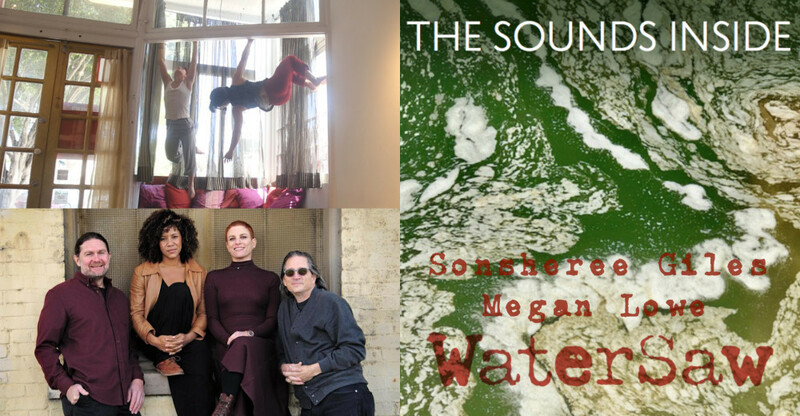 Last March the Poppy hosted an artistic residency by dancers Megan Lowe and Sonsherée Giles joined by the WaterSaw quartet of musicians. These performers will return next month for a three-day “mini residency” to perform a site-specific dance and sound score. The title of the piece is The Sounds Inside; and it was conceived with the objective of exploring what is going on within a space, our bodies, and our minds. Dancers Lowe and Giles come from different backgrounds. However, they have worked together on several collaborative projects. As a result they have built up a strong relationship supported by full trust in each other, both physically and artistically. That trust allows for new discoveries through proficient movement generation, risk-taking, tackling unusual physical situations, and coming up with compelling solutions. The WaterSaw quartet consists of two percussionists, Michael Tornatore and Nicole Laby, the latter also providing vocals. The other two members are Mark Fassett on bass and Mia Pixley on cello. The instruments are played both conventionally and through the use of extended techniques. Performances are further enhanced by sampling technology used to created layers of sound through looping techniques. The Sounds Inside will be given four performances at 8 p.m. on Thursday, October 11, and Friday, October 12, and at both 6:30 p.m. and 8:30 p.m. on Saturday, October 13. Doors will open half an hour before each performance. This event has been given an early announcement because, for the rest of this month, tickets will be sold at the “early bird” price of $25. After October 1 all tickets will be $30. No tickets will be sold at the door. They will only be sold online through a single Eventbrite event page. Given the nature of the performance, there will be no late seating. Those wishing to attend should arrive at least fifteen minutes in advance. The Red Poppy is located in the Mission at 2698 Folsom Street on the southwest corner of 23rd Street.